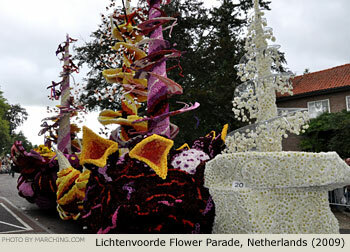 A float depicting both sunshine and rain was perfectly suited for the 80th Annual Bloemencorso Lichtenvoorde (Lichtenvoorde Flower Parade) which experienced alternating moments of light rain and beautiful skies. 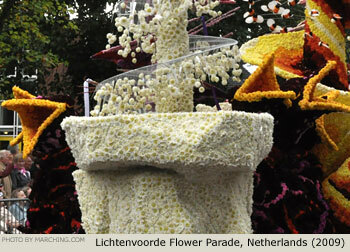 The spirit of the day remained upbeat as neighborhood float builders proudly unveiled their creations. 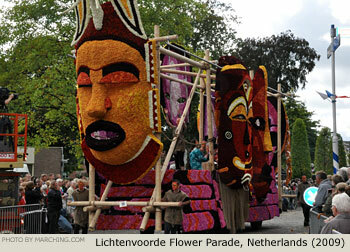 First prize was awarded to a towering elephant convoy which was expertly crafted with sharp lines defining geometric shapes. 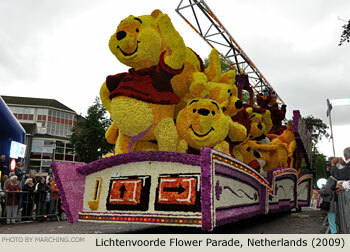 Second prize went to an arcade skill game that depicted a high-energy Tigger trying to drop the crane and capture a Pooh doll. 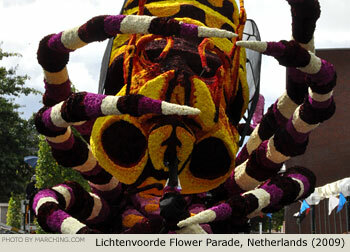 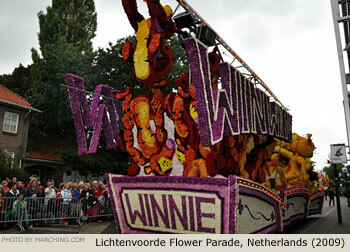 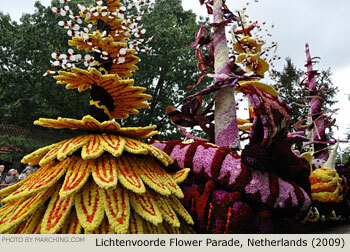 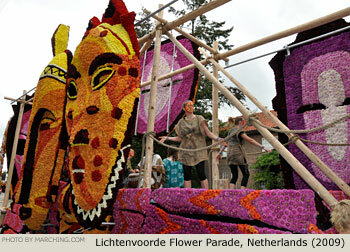 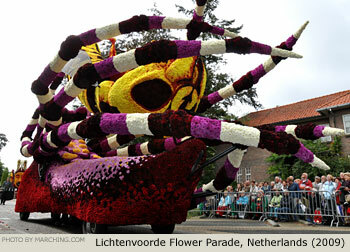 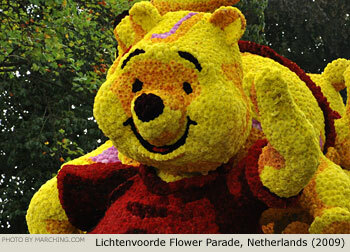 All of the floats from the 2009 Lichtenvoorde Flower Parade are pictured here in order of appearance. 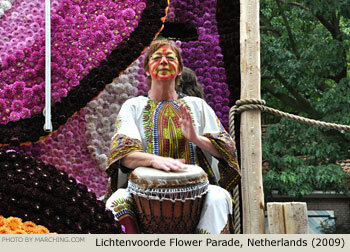 Also view the gallery of marching band photos. 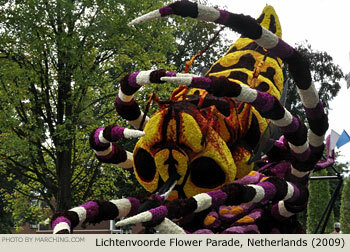 For more information visit Bloemencorso.com.